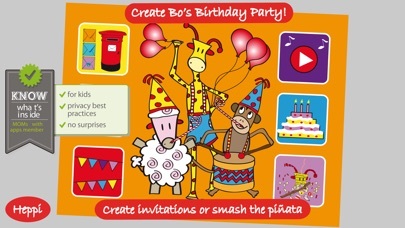 Bo’s Birthday Party is a cute app with lots of creative activities for children to complete in order to help Bo prepare for his Birthday party. 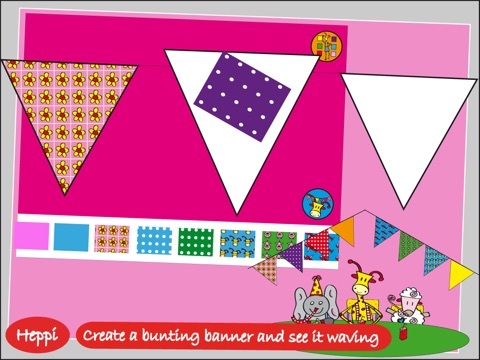 Everything from sending invitations, making decorations, decorating the cake, and so much more is covered in this app making it a ton of fun to play for young children. 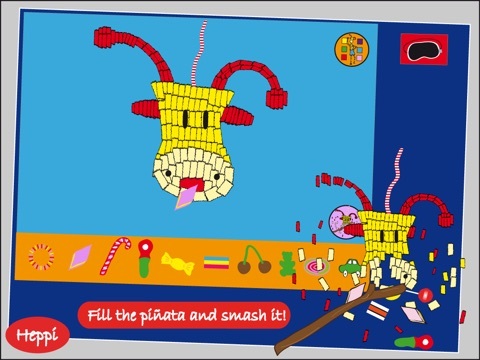 Also full of great illustrations and fun music, this app is sure to become a family favorite! Bo’s Birthday Party is full of bright colors and great audio that children are going to love. 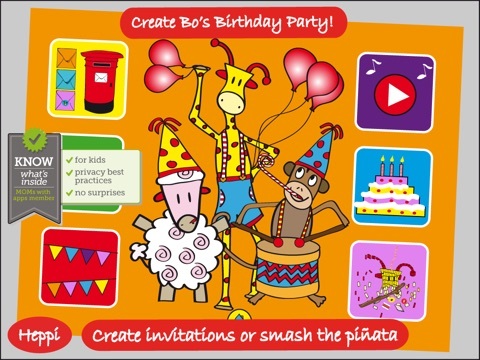 Everything from the catchy birthday song to the interactive activities creates a realistic experience for children as they help Bo prepare for his birthday party. 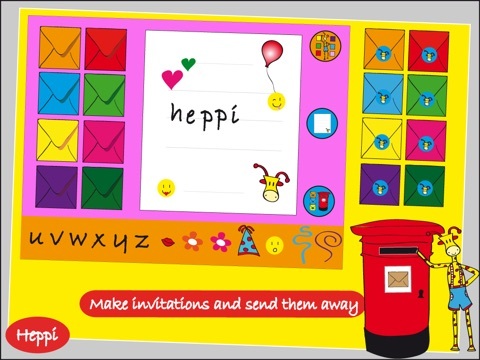 The images and illustrations that are used are very well done and the interactive features add that special touch to keep children engaged. The developers have done an overall great job incorporating fun, creative activities in an easy to use platform for children to explore. This app is all about creativity and fun! 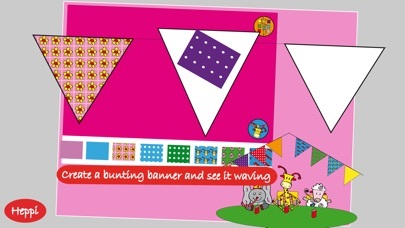 With 6 great activities to explore, children will do everything that is needed to help Bo get ready for his big party like, writing and sending invitations, decorating Bo’s birthday crown, making decorations, singing, decorating a birthday cake, and playing with a special pinata. Each activity allows children to get creative as they color, write, decorate, and sing! 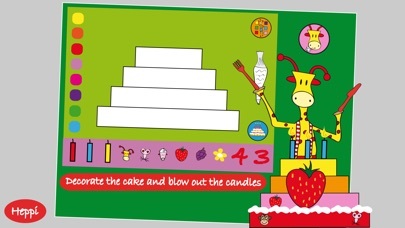 With in each activity there are also fun interactive features that allow children to do things like pop balloons and cute the cake they just decorated. 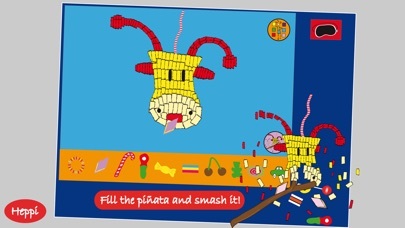 Self-guided and engaging these activities will keep children happily entertained for hours. Priced at just under three dollars, this app is priced very well. Parents will certainly appreciate the many activities and high quality interactive features that are included in this app at a very reasonable price. 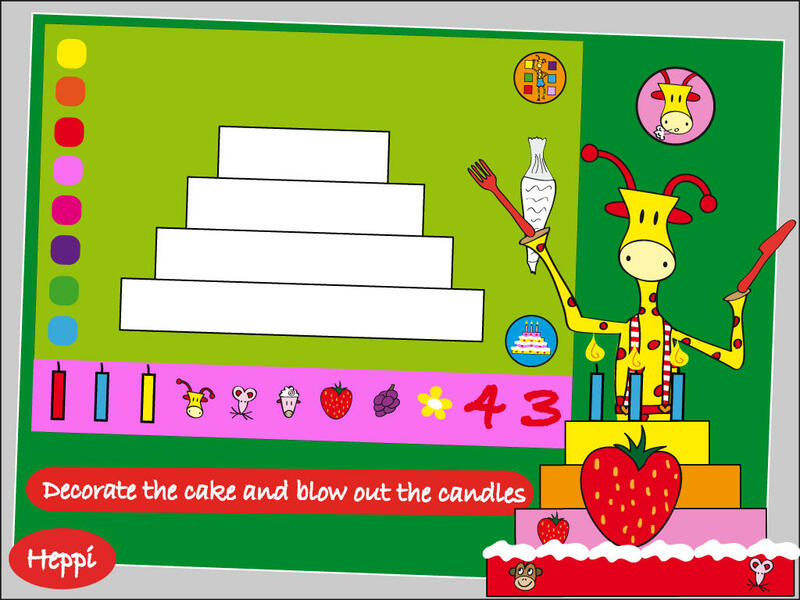 Easy to use and safe too, Bo’s Birthday Party is great for children of all ages. With no social media links or in app purchase links to worry about, this app is completely safe to use. There is an information tab that provides information about the app, the developers, other products etc. however none of them are linked so parents can rest assured. There is also a brief advertisement window that appears on the main page however it is protected and it doesn’t stay on the page very long. 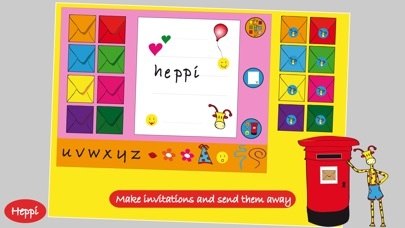 The rest of the app is very easy to use and great for little ones as it involves a lot of tapping and touching and the interface is very intuitive. Overall this is a great app for kids!